Was 3.49. 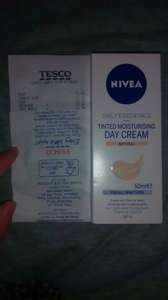 Nivea tinted moisturising day cream in natural 50ml. Found in Tesco Surrey Quays. It's always this price on Amazon usually - FYI!